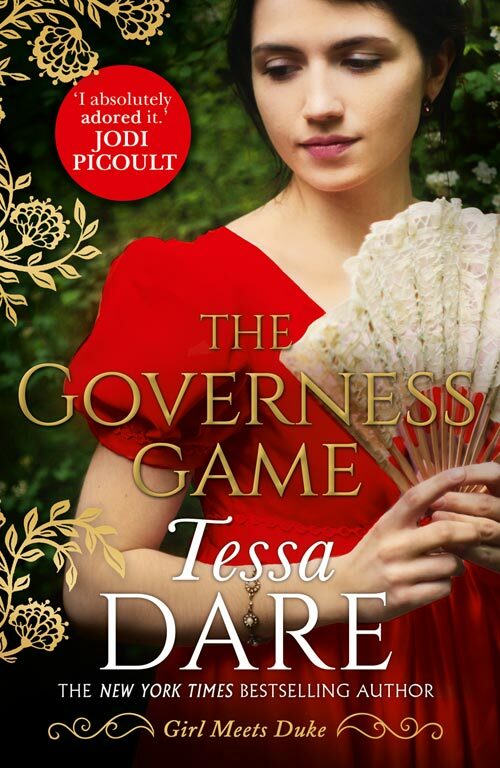 Your latest book The Governess Game is out today! Can you tell us a little bit more about it? Is it linked to The Duchess Deal? The Governess Game is the second book in my Girl Meets Duke series. (The Duchess Deal was the first, but either book can be read on its own.) In it, the working-class heroine, Alexandra, finds herself accidentally employed as a governess to two undisciplined orphans. The two girls are wards of Chase Reynaud, heir to a duke and incorrigible rake. It’s not long before Alexandra begins to realize that the true challenge won’t be educating the children—it’s Chase who needs taming. And, of course, they’re all are in desperate need of love. How would you best describe From The Governess Game in three words? So many places! But I have to admit that, when writing the two girls, my own children provided some inspiration. My daughter helped me brainstorm various forms of mischief that two wild orphaned girls could find. And while I was writing the book, my son was in the process of leaving his traditional school for a different model—this inspired me to write Alex as a governess who recognizes that different children learn in different ways. On a historical note: Before she becomes a governess, Alexandra is a clock-setter who makes a living synchronizing clocks to Greenwich time. This was inspired by a visit to the Royal Observatory, where a small plaque in a chronometer display told of an actual Victorian family who made their living this way for generations. What do you like about the historical romance genre? My two favorite authors when I was a teenager were Jane Austen and Julie Garwood, so I think my brain just wired itself to equate carriages and kilts with romance! The Regency era in particular appeals to me because it’s far enough in the past to have that “once upon a time” fairy-tale quality, but it’s modern enough that the characters feel relatable. I’d always enjoyed writing as a hobby, ever since I was a young child, but I only started to seriously write with the goal of publication when I was about 30. I’m not sure if that makes me a late or early bloomer! For some reason, that was the year it clicked for me. What’s your writing routine – do you have a favourite place to write? I am not an especially organized writer, but I try to do most of my writing while my kids are in school. I have an office outside the house that I share with a fellow romance author (Brenna Aubrey). I find it easier to concentrate when there’s no laundry or homework help calling my name. However, there is an Arthur Murray Dance Studio down the hall, which makes for some interesting background music! How much of yourself is reflected in your books? I don’t think any novelist can write without putting a great deal of herself in the books—not only in the characters themselves, but in their actions, attitudes, emotions, and beliefs. Everything from my feminist politics to my quirky sneezes has made it into my books. However, none of the characters are closely based on me or anyone I know in true life. How would you describe your ideal romantic hero? He must have intelligence (though not necessarily a formal education), a sense of humor, a protective nature, and be outwardly strong with a few hidden vulnerabilities. More importantly, he has to appreciate a heroine with intelligence, a sense of humor, a protective nature, strength, and her own hidden vulnerabilities. Who’s your favourite fictional heroine? Definitely Elizabeth Bennet from Pride and Prejudice. When I was in high school, I was asked to name the person I most admired for the senior yearbook. I named Elizabeth Bennet. I think that says it all. It sounds trite, but persistence is the most important thing! There’s no way to learn to write a novel other than to write a novel, so stick with your story and finish it. Joining a group of other romance writers can also be a huge help. I always recommend Romance Writers of America (www.rwa.org). Even though “America” is in the name, RWA has members worldwide. Thanks to Tessa for talking to us and a very happy publication day! Make sure you head over and grab yourself a copy of The Governess Game, DON’T miss out!